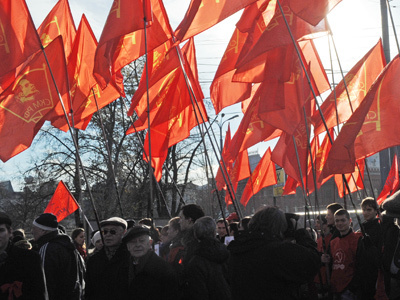 The head of the Russian Communist Party has criticized the authorities’ policy direction, which he called ultra-liberal, in his latest newspaper article. 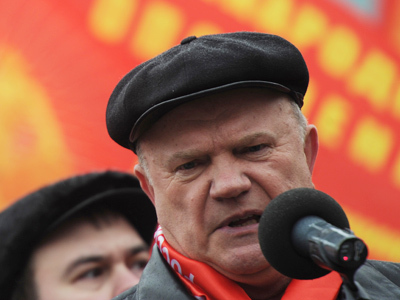 The article by Gennady Zyuganov was published by the Communist newspaper Pravda – the heir of the main printing organ of the Soviet Union’s Communist Party – which is a party propaganda edition. 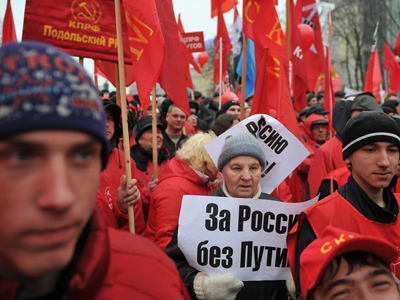 In the article Zyuganov stated that the liberal policy that the Russian authorities have been exercising over the past 12 years has only led to a growing dependency on oil and gas exports at the expense of a general decline in living standards and industrial strength. It should be noted that in Russia the term liberal usually means pro-market and pro-business, while those who advocate a higher state role in the economy call their concept conservative. The Communist leader pointed out that the share of oil and gas incomes in the state budget has grown from 20 per cent in 2000 to almost 50 per cent in 2011, criticizing the growing national dependency from the raw materials sector and claiming the authorities’ declared course on modernization is nothing but empty promises. Zyuganov also noted the capital flight from Russia almost reaches the annual GDP amount and the external debt of Russian companies and banks has grown 17-fold over the past 12 years. The politician goes on to forecast the future of Russian economy and writes that the state and national companies will suffer multi-billion-dollar losses as a result of Russia’s entry into the World Trade Organization. He also predicts that up to 2 million people will lose their jobs in the near future as a result of this step. 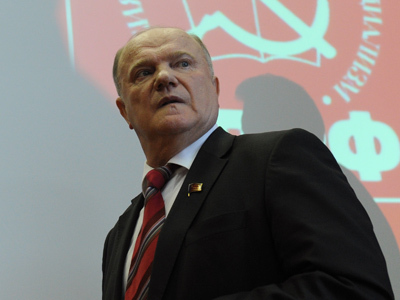 Zyuganov went on to blast the authorities’ social policies, for which he blamed the high mortality rate, suicides among elderly people and children, and the number of abortions as well as deaths during childbirth. He also writes that crime among minors was a result of the filth and moral corruption in the mass media, including the state-run TV channels.